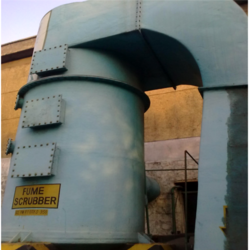 We are a leading Manufacturer of fume scrubber from Ghaziabad, India. In order to attain the maximum satisfaction of our esteemed customers, we are engaged in offering best and leading array of Fume Scrubber. The offered product is quality high and available in many specifications. Adding to all this, they are tartan against many excellence parameters to maintain it as per set superiority norms. Also, the cost of this array is also very cost effective.